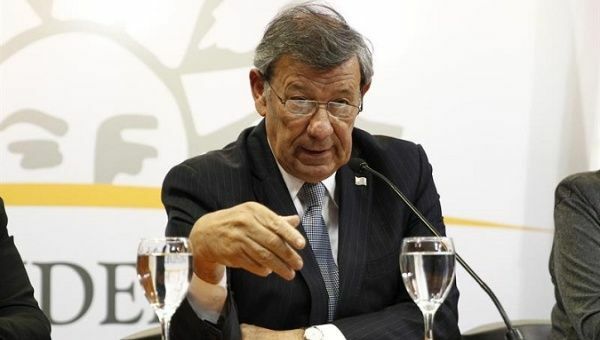 The government of Uruguay was responding to comments made by OAS chief Luis Almagro endorsing a possible military intervention in Venezuela. Almagro’s hostile comments were made last week during a visit to the Colombian city of Cucuta, days after an article in The New York Times revealed clandestine contacts between United States officials and a faction within the Venezuelan military interested in organizing a coup against President Maduro. In an attempt to counter criticism, Almagro recorded a video where he claimed he was misunderstood, but continued to urge the international community to act against the Venezuelan government comparing the economic and political situation in the South American country with the Rwanda genocide. “Millions of people are murdered, tortured, displaced in Venezuela. The responsibility is to protect, not to count the dead,” Almagro said justifying laxity with the international principle of non-intervention. His explanation did not stop the backlash in his home country.